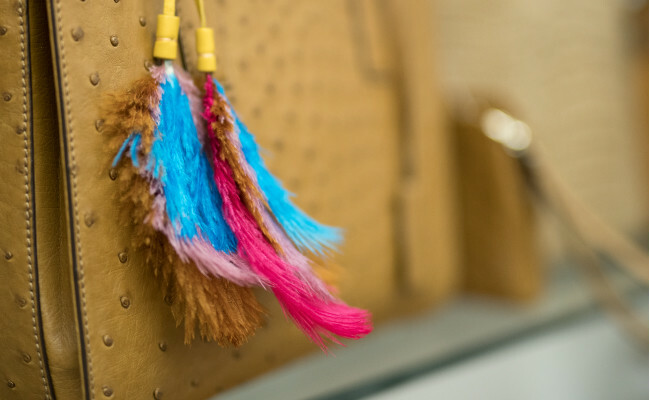 Tucked into an industrial building in Industria North, local luxury accessories brand Via La Moda's showroom is probably one of Joburg’s better-kept secrets. 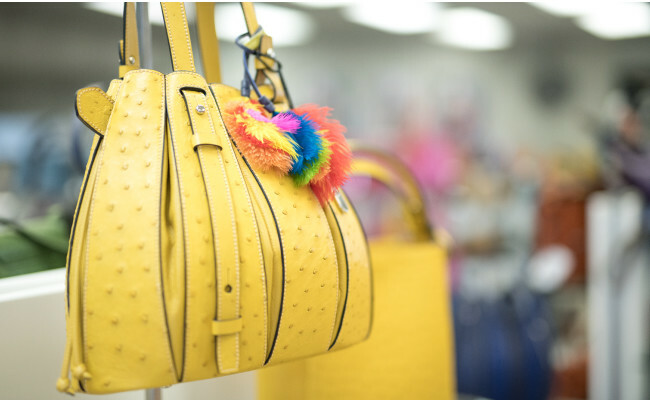 For luxury addicts, this is a must-stop on any Johannesburg itinerary offering up an enormous array of finely crafted leather handbags and other accessories in a glorious arrangement of vibrant colours, shapes and textures that is said to be the largest display on the African continent. From handbags to purses, and leather belts, each item is made with care and precision, and stitched in the pristine workshop overseen by Austrian-born designer and master leatherworker Hanspeter Winklmayr, whose family have been in the leather work business for centuries. 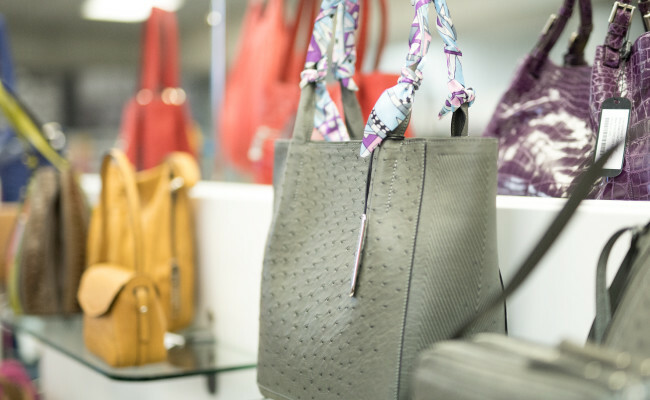 Every year the showroom hosts its annual 22 Hour Sale in the run up to Christmas, with some of the most incredible discounts to be found anywhere in the city, including up to 60% off Via La Moda's most exclusive designer handbags. In 2018 the first day of the sale opens on Thursday November 29 at 05:00 - the most eager handbag fanatics have been known to start queueing up from 04:30 to get their hands on the best deals! 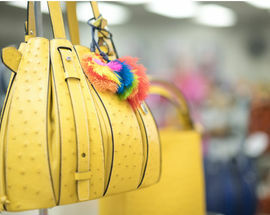 We had the rare privilege to be invited “backstage” to see the inner workings of Via La Moda’s production line, which shares a building with the exclusive Via La Moda showroom, and to witness the painstakingly precise and focused work that goes into the creation of each unique statement handbag. 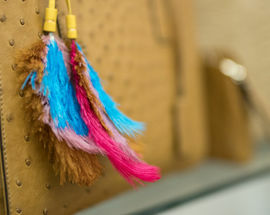 Rooms filled with ostrich and crocodile leather hides dyed in brilliant colours, a rainbow display of zips, tools for handling leatherware perfectly arrayed at each workstation and cutting dyes hung up along the walls displaying intricate patterns more likely to be associated with artwork than the labour of creating a luxury handbag. The leather materials used are ethically sourced and Winklmayr displays an attitude of reverence for the materials he works with. Each skin is individually treated and the manufacturing process ensures that every piece of material is used. Winklmayr is hands-on in the process, wearing a sleeveless work coat and presiding over the entire process of creating these unique items that represent one of South Africa's finest luxury brands. 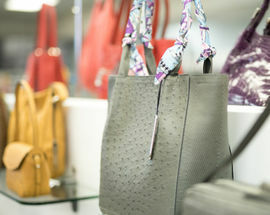 The Via La Moda brand which Winklmayr has built up over decades combines modern technologies with traditional crafting techniques resulting in covetable handbags and accessories that fit a wide range of budgets. What's more designs are frequently updated, making many pieces collector’s items as quality is prized over quantity - a fact which makes the famous annual showroom sale an all the more must-visit event for followers of local luxury fashion! Check out the most exciting offers and discount available at this year's showroom sale online. The 22 Hour Sale is open Thu Nov 29 from 05:00–17:00, Fri Nov 30 from 10:00–15:00, Sat Dec 1 from 08:00–13:00. Address: The Via La Moda showroom is located at 19 Banfield Rd, Roodepoort, tel. +27 11 477 8008, vialamoda.com.